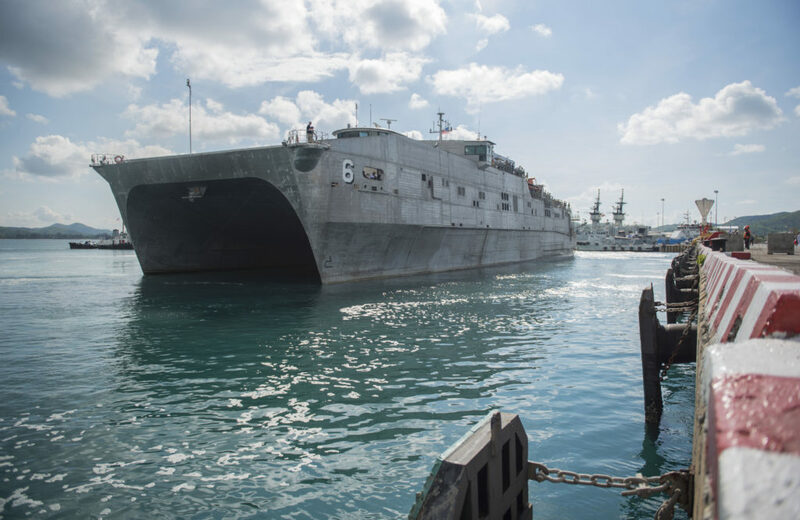 The Navy’s 10th Expeditionary Fast Transport ship, Burlington, successfully completed Acceptance Trials, August 3 after two days of underway evaluation in the Gulf of Mexico. «Acceptance trials are a major step towards delivering Burlington to the Navy», said Captain Scot Searles, Strategic and Theater Sealift program manager, Program Executive Office (PEO) Ships. «The ship performed very well this week, which is a great reflection of the commitment of our industry and government team to delivering quality ships». They are capable of interfacing with roll-on/roll-off discharge facilities, as well as on/off-loading vehicles such as a fully combat-loaded Abrams Main Battle Tank. Each vessel includes a flight deck to support day and night aircraft launch and recovery operations. Burlington will have airline-style seating for 312 embarked forces with fixed berthing for 104. Also, under construction at Austal are future Puerto Rico (EPF-11) and Newport (EPF-12).